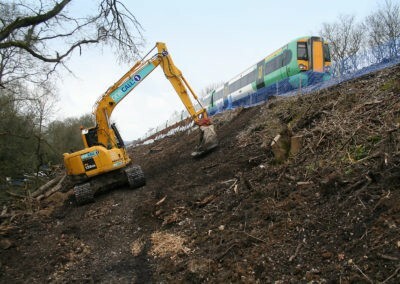 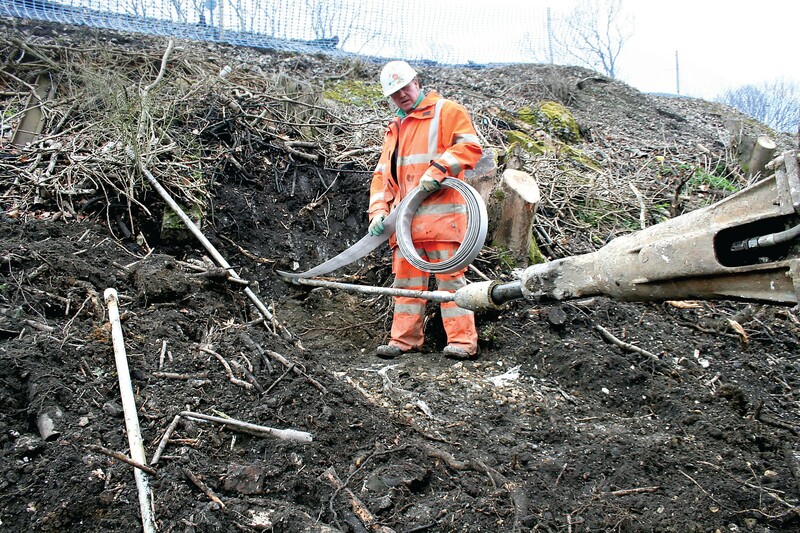 Stabilisation and reinforcement was required for a 1000m stretch of railway embankment between Burgess Hill and Hassocks on the Brighton Line. 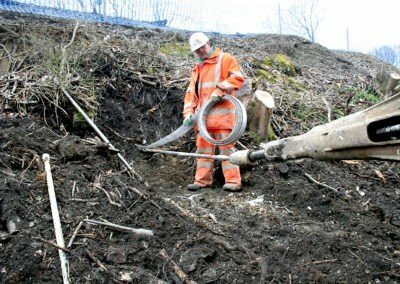 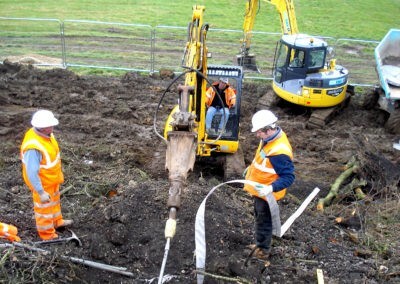 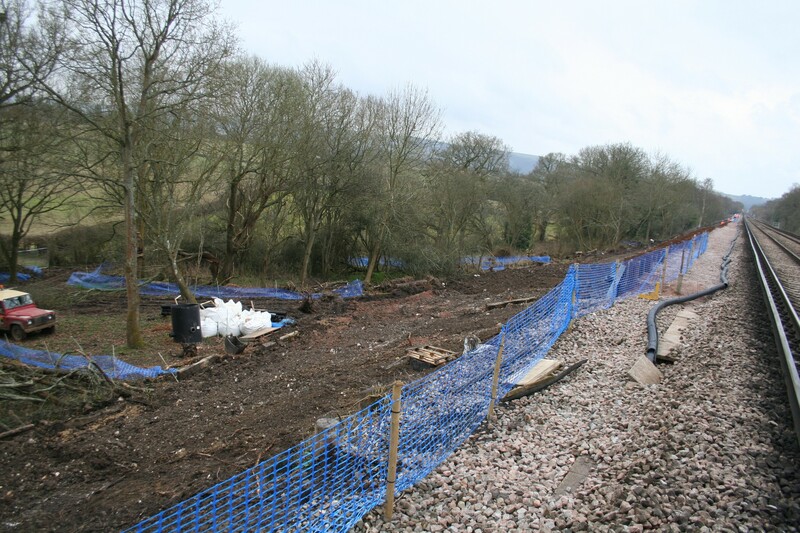 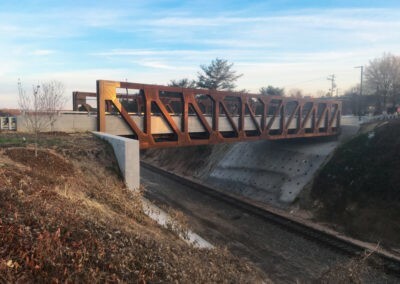 This comprised the installation of sheet piles to a depth of up to 8m, construction of a capping beam with handrails and a drainage system for draining the water that had built up within the embankment and beneath the track bed. 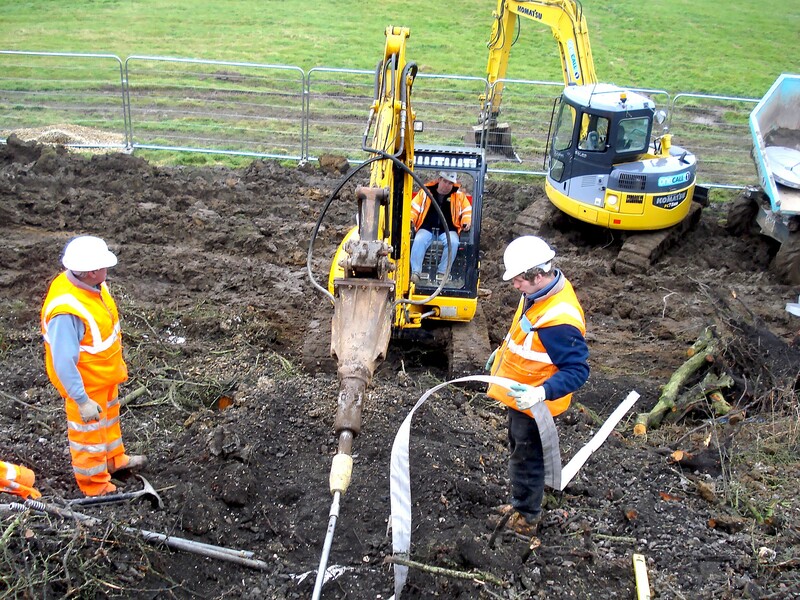 Plati-Drains® , attached to B06 anchors were installed at 9m centres, upwards towards the track bed from the edge of the embankment. 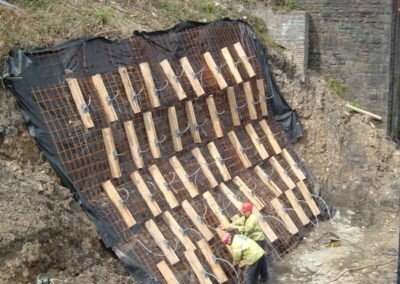 Dummy piles were used at the Plati-Drain® positions to allow for easy installation and drainage through the steel sheet piled wall. 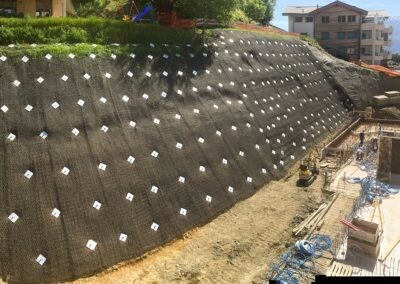 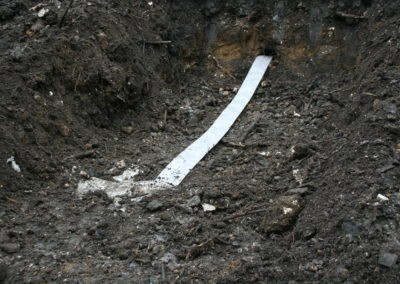 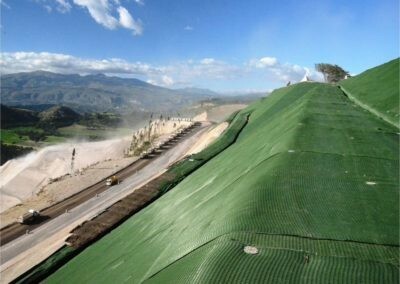 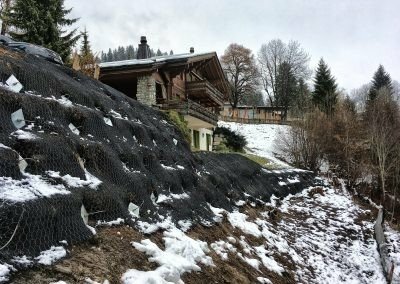 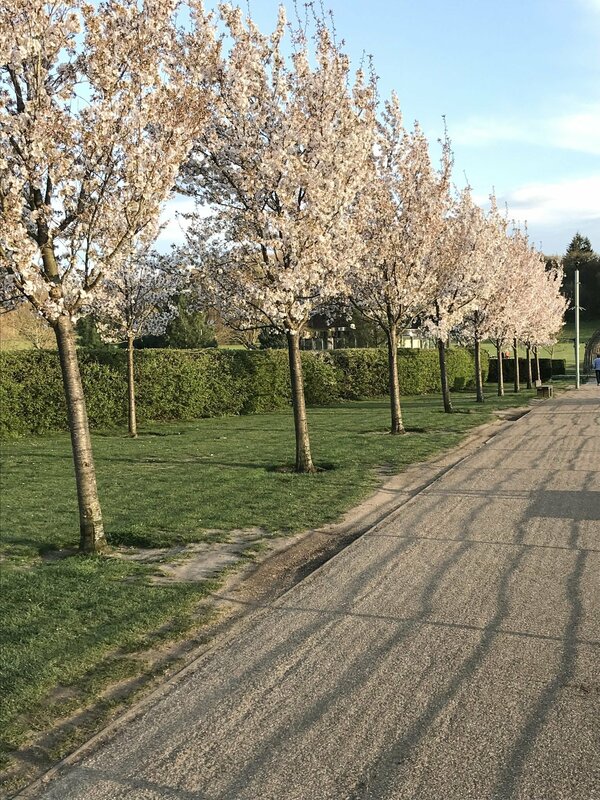 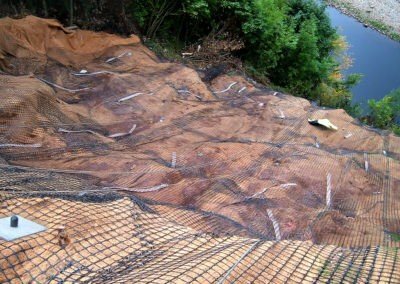 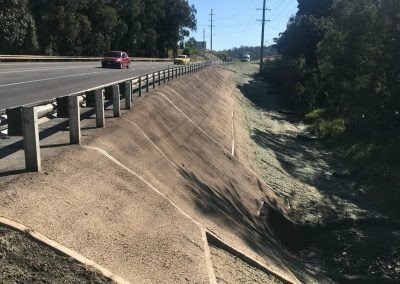 The Plati-Drains® were terminated into the upper carrier drain with inspection chambers connected to a lateral drain and thence to a drain at the toe of the slope, eventually running into the existing watercourses.